This cocktail table with four ottomans adds versatility to the center of your living room. The four polyurethane upholstered ottomans offer the look of leather for style and function. 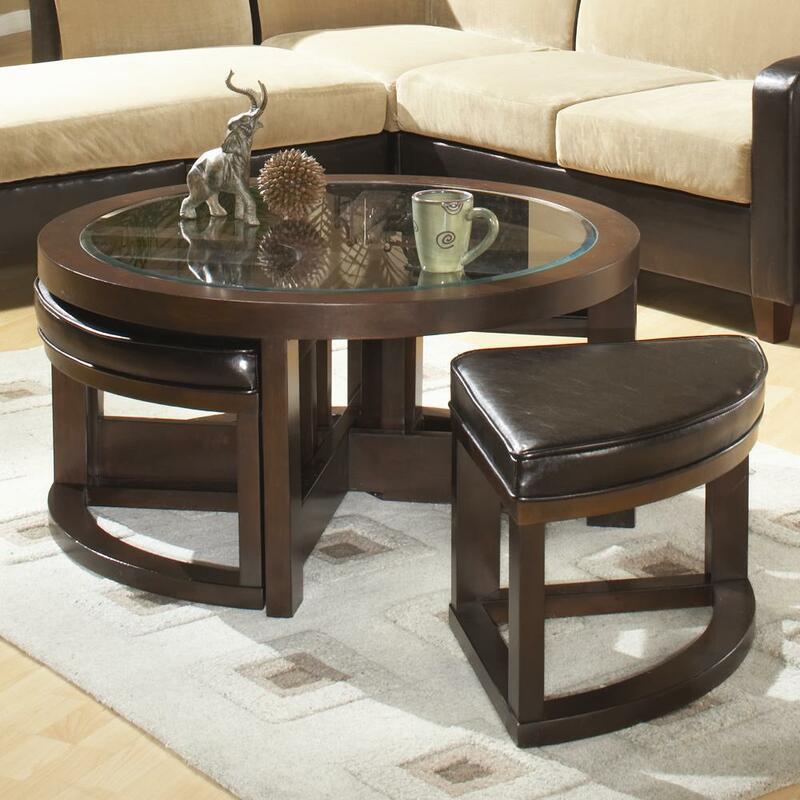 The 40-inch diameter table features a glass top with a view through to the base. The four ottomans are shaped like pie pieces to snugly fit beneath the table when they are not being used as a bench or as an ottoman where you could rest your feet. The 3219 Round Cocktail Table with 4 Ottomans by Homelegance at Michael's Furniture Warehouse in the San Fernando & Los Angeles area. Product availability may vary. Contact us for the most current availability on this product. 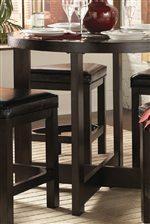 The 3219 collection is a great option if you are looking for Contemporary furniture in the San Fernando & Los Angeles area. 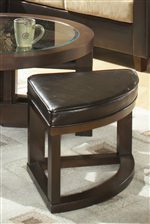 Browse other items in the 3219 collection from Michael's Furniture Warehouse in the San Fernando & Los Angeles area.